Thanks to our partners at Center City District, in June we got a behind-the-scenes look at the construction of Phase 1. There’s lots of foundational work being done—replacing ballasts, cleaning up ties, stabilizing bridges, and more. And soon, the site will start looking less like a construction project and more like a park. 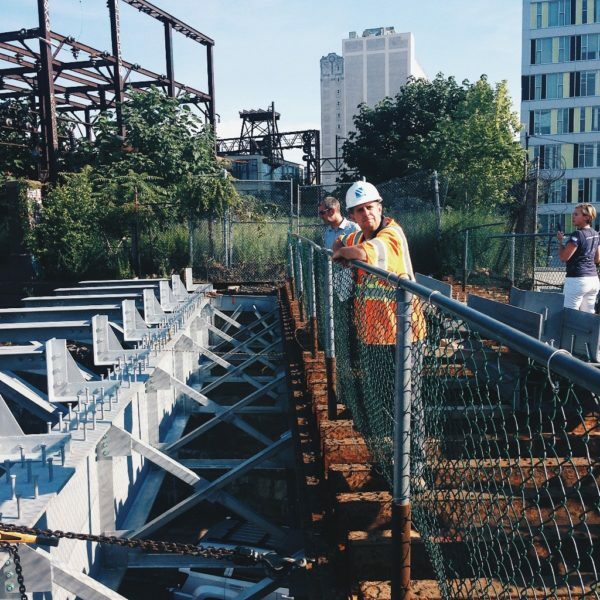 Urban Engineers and Center City District even put together a video update with first-hand looks at the site.